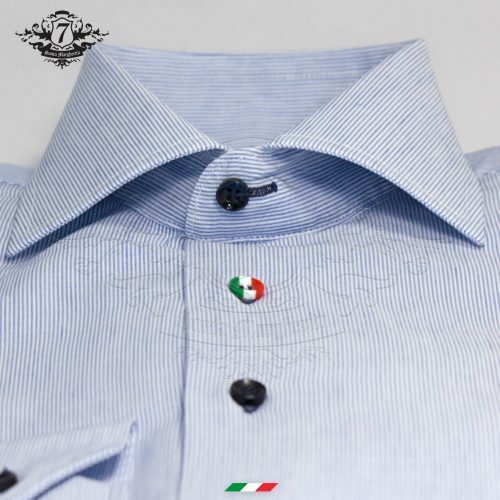 Wearing a tailored shirt Santa Margherita 7 does not just mean having a handmade dress that is fine, but also in keeping with the values of style, class, harmony, beauty and sophistication that characterize Milan’s elegance. 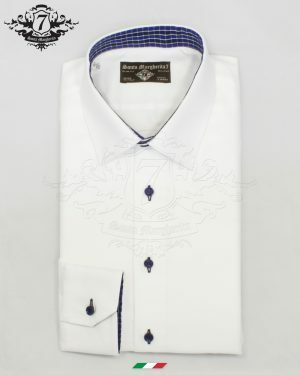 Man’s shirt Bartolomeo. 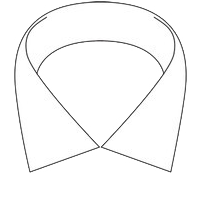 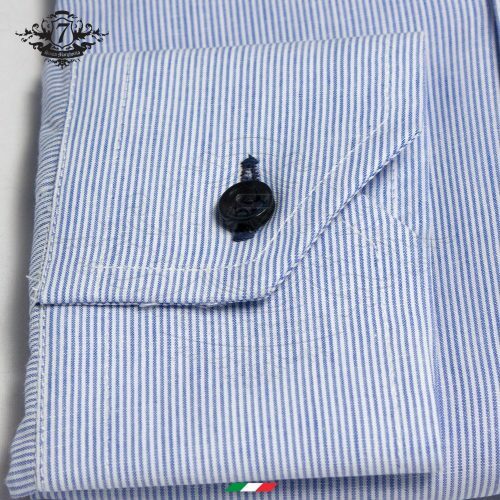 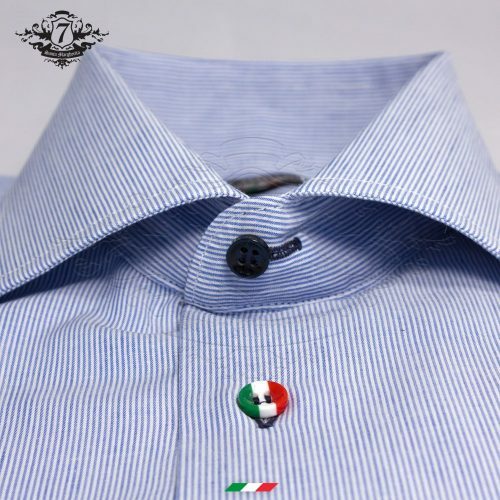 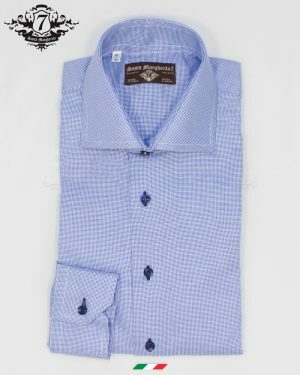 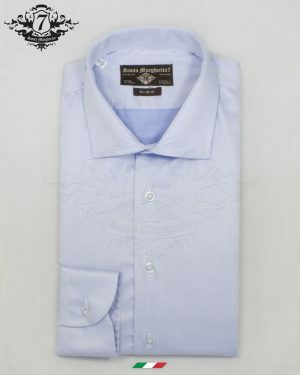 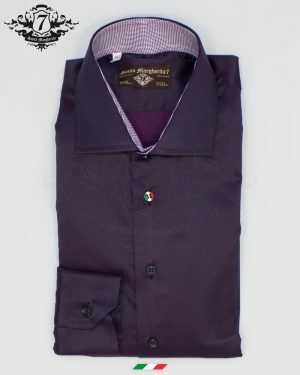 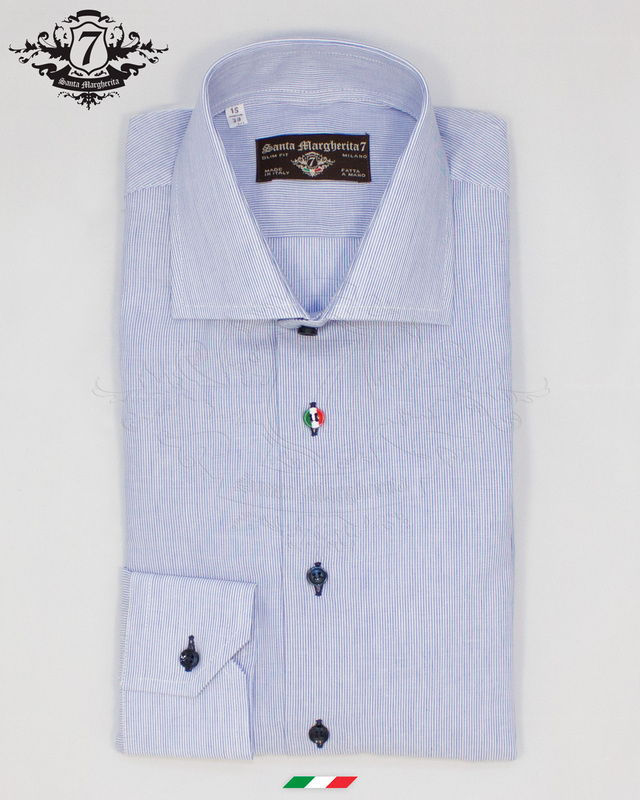 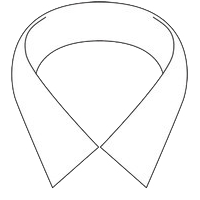 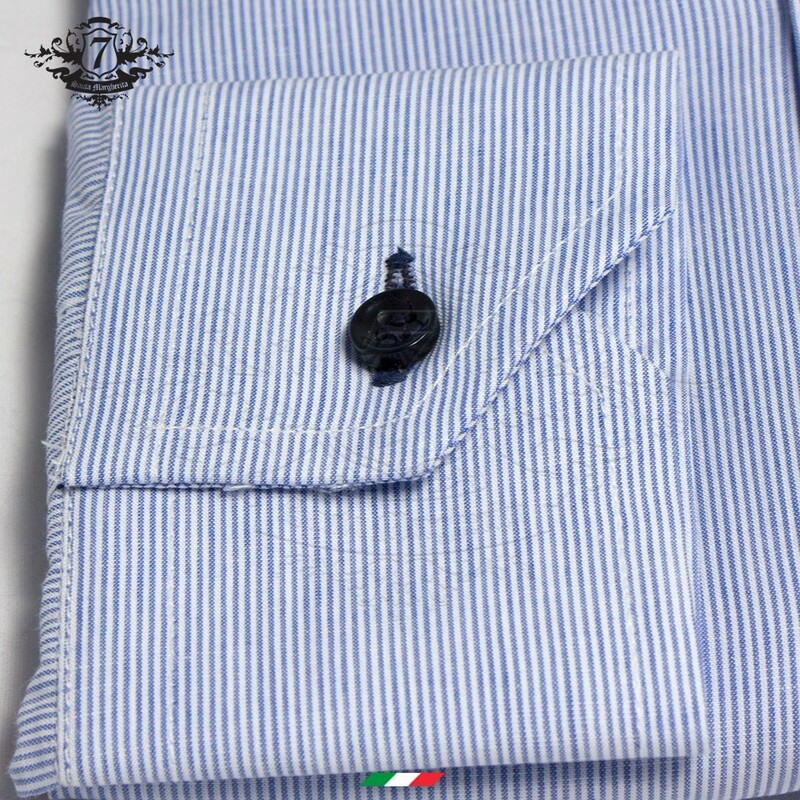 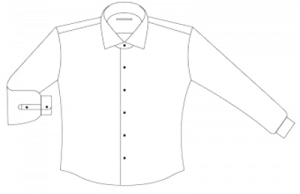 Men’s tailored shirt characterized by a very fine blue stripe, is made with French collar and slim fit. 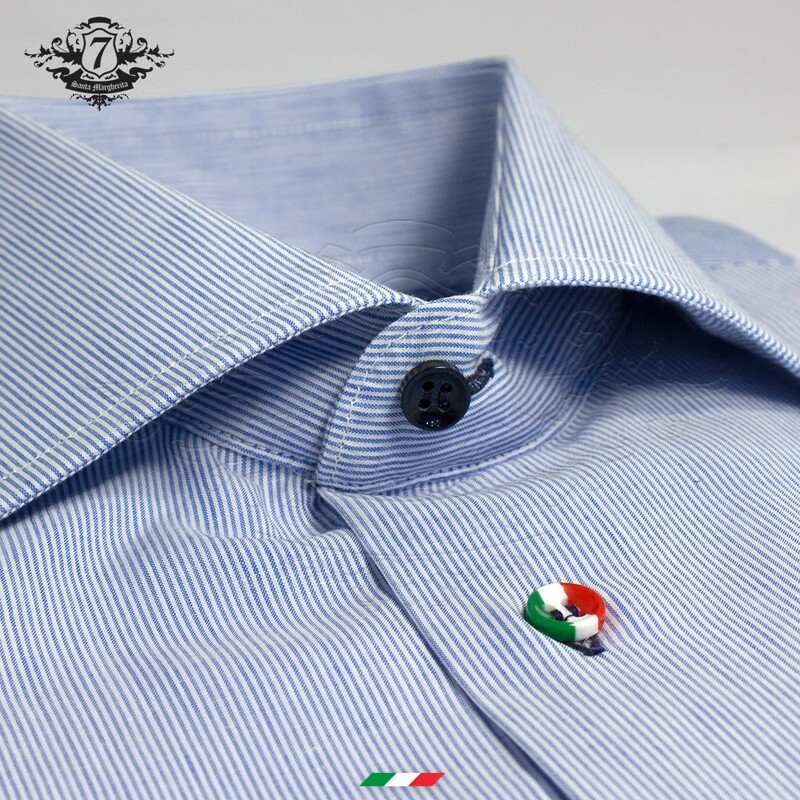 The fabric is 100% cotton with poplin, boosted with handcrafted finishes and details. 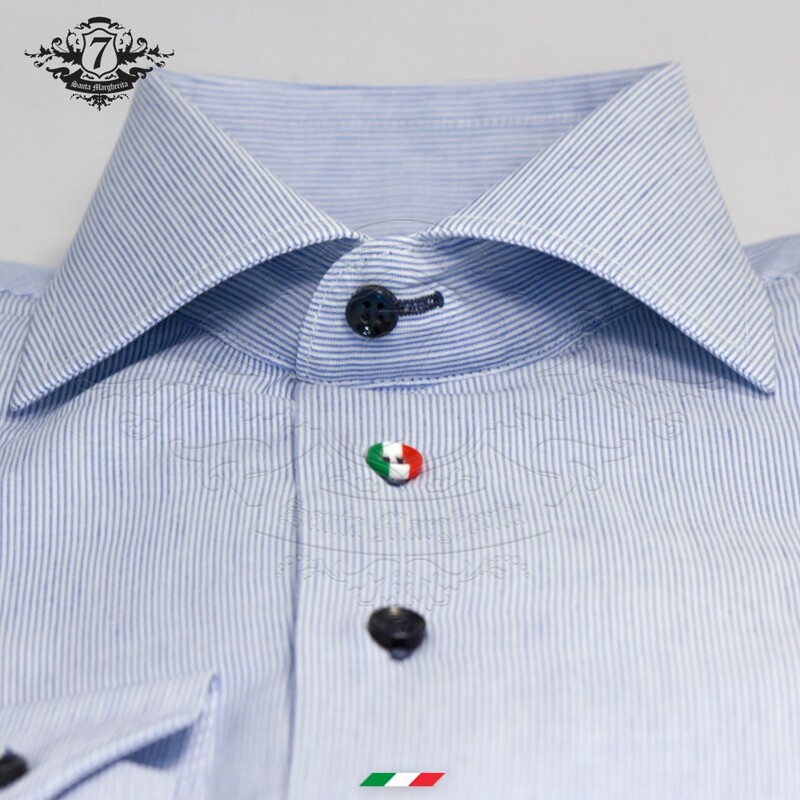 The presence of the second Italian button and ton sur ton buttons makes the elegance lighter, giving a touch of originality without expiring in excess.